That&apos;s right-the home of the Headless Horseman is just a stone&apos;s throw from the Big City! 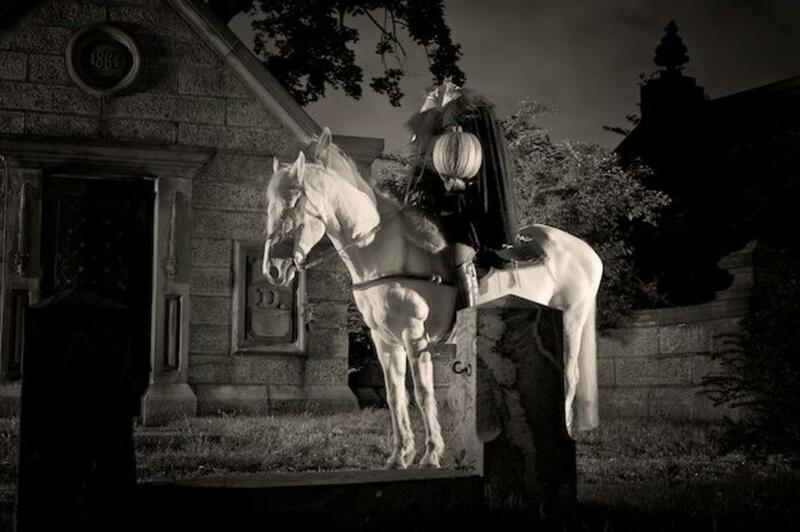 Visit Sleepy Hollow for 13 nights of Halloween mayhem: haunted hayrides, a masquerade ball, and dramatic performances of Washington Irving&apos;s classic tale. And for a real scare, tour the Sleepy Hollow Cemetery-what author Doug Keister calls "a cemetery with a capital ‘C.&apos;"
BOO! Don&apos;t believe in ghosts? Think again, because New York State is home to some of America&apos;s most legendary phantoms. 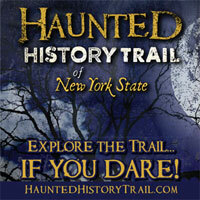 The Haunted History Trail offers self-guided and paid tours of haunted locations across the state. Explore haunted inns, theaters, asylums and more, from the Hudson Valley all the way to Greater Niagara. Use the convenient maps to tour as many locations as you dare! Looking for a ghastly good time in NYC? Check out Blood Manor-New York City&apos;s premiere haunted attraction. 5,000 square feet of themed rooms, corridors, and a labyrinth of passageways where danger lurks around every corner. Careful; this scare is for those age 14 or older (unless accompanied by an adult). If you&apos;re in upstate New York this Halloween, missing the House of Horrors would be a grave mistake! Larger than any other haunted attraction in the area, the House of Horrors boasts four individual haunts comprising a total of 60,000 spooky square feet. Rated one of America&apos;s best haunts by besthaunts.com, hauntworld.com, and MSN.com-and rated one of the nation&apos;s Top 10 Scariest Places by Reader&apos;s Digest. The wildly popular Great Jack O&apos;Lantern Blaze features over 4,000 hand-carved pumpkins illuminated against a ghoulish riverside landscape. 18th-centuryVan Cortlandt Manor sets the scene for this haunt, where you&apos;ll spot spooky sheep skeletons ‘roaming&apos; the grounds and headstones created from three-foot-high pumpkins. Admission by advance ticket only. 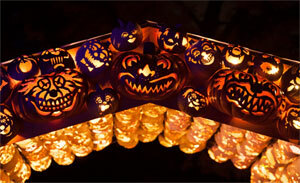 Haunted hayrides, parades, and playhouses-the Empire State has Halloween fun for all ages! Visit fallgetaways.iloveny.com for the best family-friendly fun statewide.